"Physically I felt good and I believed I could win. Ahsan hit very good shots but I new he would get tired if I keep the rallies long" said the Finnish Open Champion after the match. 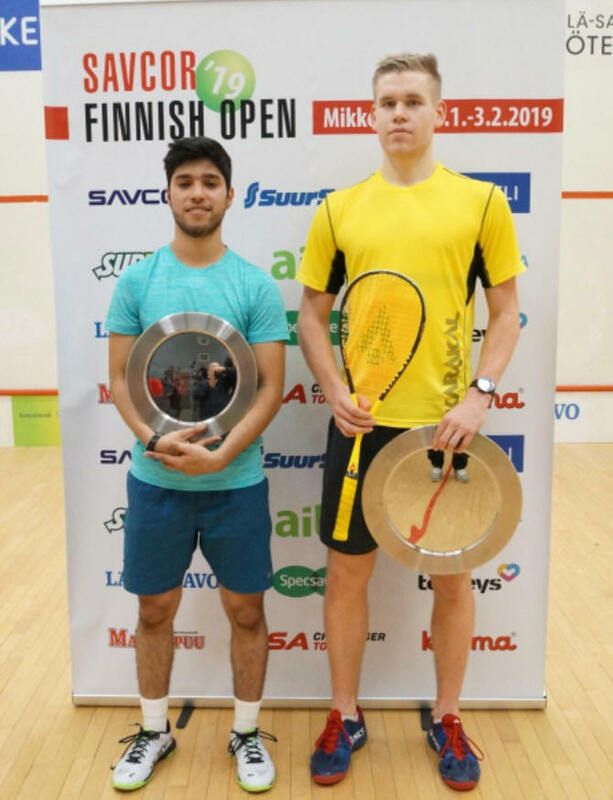 Ahsan Ayaz and Miko Äijänen will play for the Finnish Open Championship on Sunday in Mikkeli. Both matches were of a good standard and they could have gone both ways. 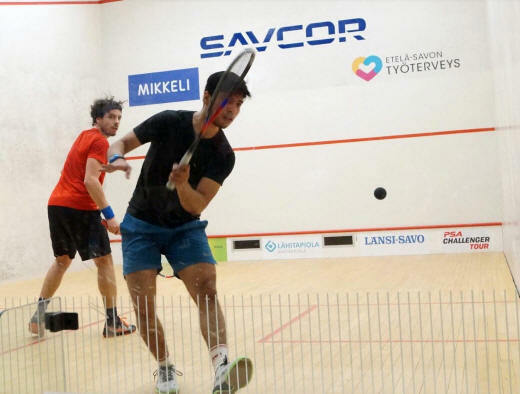 The two winners were sharper in the deciding moments and that seemed to make the difference. 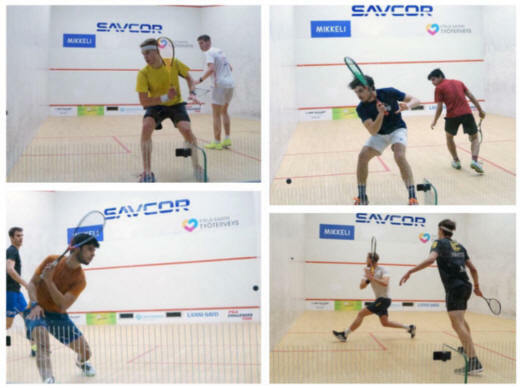 Both matches had a lot of decisions and arguments which somewhat influenced the standard of the matches. The last surviving Finn Miko Äijänen keeps the local hopes alive by beating Martin Kegel from Croatia in straight games. “Today it felt a bit difficult for some reason. My shots were short and I made too many mistakes. Tomorrow is a new day and I will try to play better”, said Äijänen after the match. 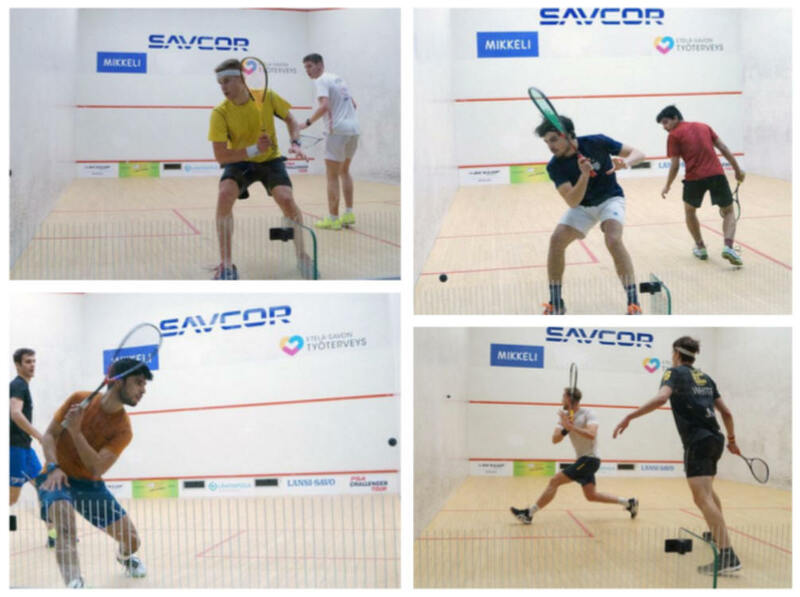 The upsets to the seedings were Yuri Farnet’s victory over Zeeshan Khan in five games and Elliott Morris Devred’s victory over Joseph White. 3rd seed Miko Äijänen was the only Finn to make it to the Finnish Open quarter finals in Mikkeli. 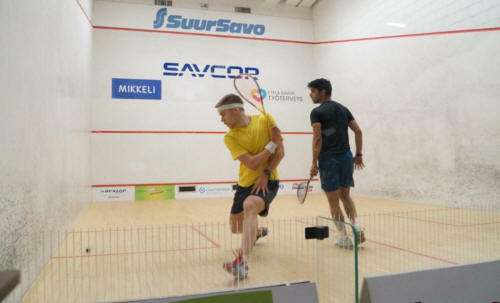 2nd seed Jami Äijänen was not at his best and had to throw in the towel at the beginning of the second game. Wild card Ville Karsikas played one of his best matches ever and had two match ball in the fourt game against 8th seed Joseph White. 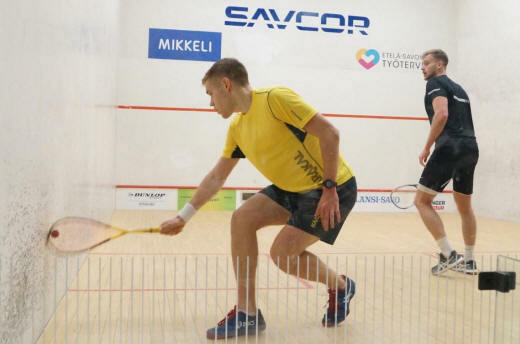 The fourth Finn Samuli Niskala fought well and had game ball in the third game. Had he managed nobody knows what could have happened after that.